A.R. Menzies has been serving New Brunswick women with a full line of mastectomy products, breast prostheses and mastectomy bras for over 40 years. What type of breast prosthesis is best suited for me? There are a number of different factors to consider when choosing a great prosthesis. One of the main factors is the type of surgery that has been performed. Some women’s surgery have left them with a flat chest wall, whereas some women are left with a bit more tissue in this area. If a number of lymph nodes have been removed, a prosthesis with an extension extending more under the arm would be more suitable. A woman’s daily activities would be another factor as she may benefit more from the contact prosthesis, which attaches directly to the chest wall by gel adhesive. This also allows her to move and the prosthesis moves with her. She can also continue to wear the bra that she has always worn. Women who are not interested in the attachable breast form can be fit with the more traditional form that is worn in a special bra that has built-in pockets. This allows for more security to hold the breast form in place. The prostheses come in basic weights as well as lightweight. The basic prostheses are the same weight that a breast that size would be and the lightweight prostheses are 30-35% lighter. The main factor in choosing the proper breast form is really what the lady feels most comfortable wearing. Do I need a prescription from a doctor to set up an appointment? It is not necessary to have a prescription unless you need it for your insurance company, if you have coverage. Most insurance companies do cover for the prostheses and some do cover the cost for the mastectomy bras, but you should check with your insurance company prior to your appointment. How are mastectomy bras different from regular bras? All of the bras we carry are referred to as mastectomy bras, meaning that there is an extra layer of material that creates a pocket behind the cup. This pocket allows the breast prosthesis to be worn securely, without shifting as you move throughout your day. The breast prosthesis will fit into this pocket much like a pillow fits into a pillowcase. There are many different bras to fit your personal preference. They are not surgical looking. They look just like any other bra and come in many different colors and designs. Most surgeons recommend that patients wait six to eight weeks post-surgery to be fitted for a breast prosthesis. This allows time for the swelling to go down, for your surgical site to heal and for you to feel comfortable wearing a bra again. Prior to your surgery, you can purchase a post-surgical camisole to wear. It will not only be comfortable, but will be useful in securing your drain tubes immediately following surgery. The post-surgical camisole can be worn directly home from the hospital. You will be able to wear this until you are ready to be fit for a breast prosthesis and mastectomy bra. "I understand that each lady and situation is unique. When the time is right for you, please call for a private consultation." Lisa has been helping women after breast surgery live life to the fullest with the world’s leading line of breast forms, partial breast shapers, mastectomy bras, undergarments and swimsuits. I was diagnosed with breast cancer in 2012 and underwent many surgeries and treatments. It was a very challenging time for me. When I met with Lisa Dow, trained Certified Mastectomy fitter in 2013, I was very pleased with the services she provided. Her consultations go beyond the purchase of a prosthesis and specialized clothing. 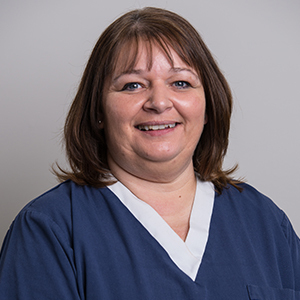 Sometimes the human aspect is overlooked but not with Lisa, she has a professional approach, always has time to listen and most importantly, she has a very good sense of humour. I chose Menzies for their personal and private consultations and recommend them to others."